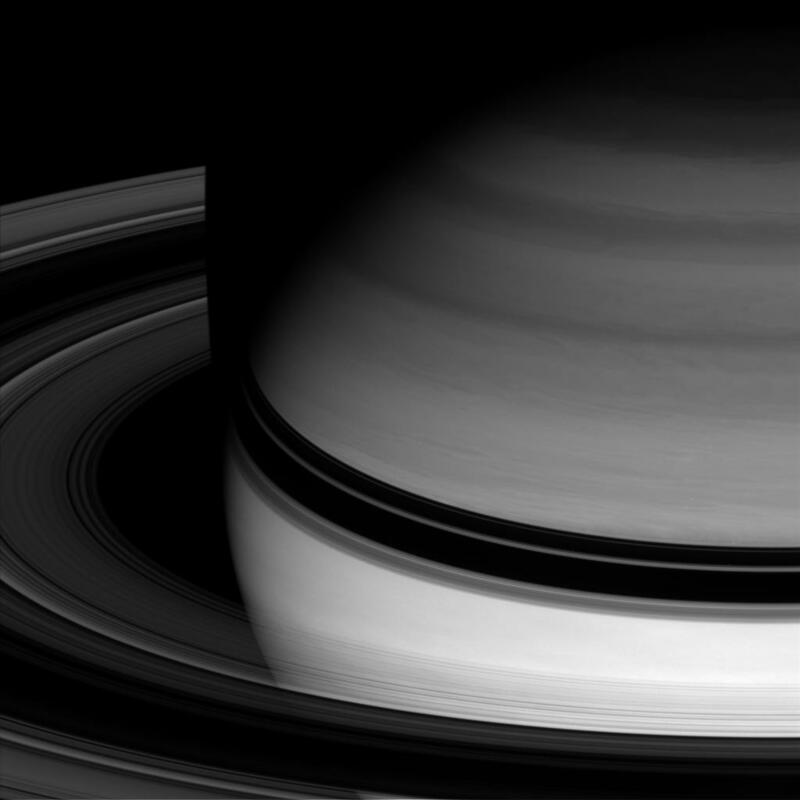 Saturn's semitransparent rings arc smoothly around the gas giant, abruptly disappearing where they pass through the planet's shadow. 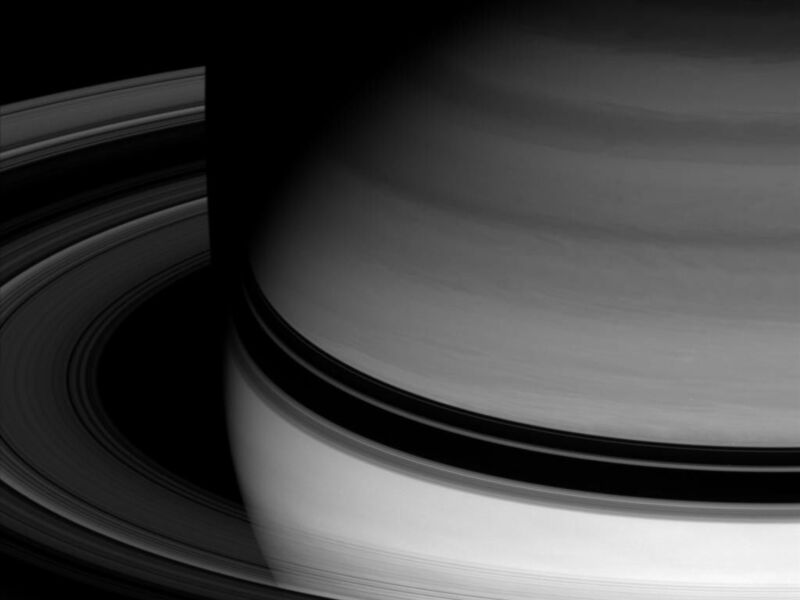 This view looks toward the unilluminated side of the rings from about 18 degrees above the ringplane. 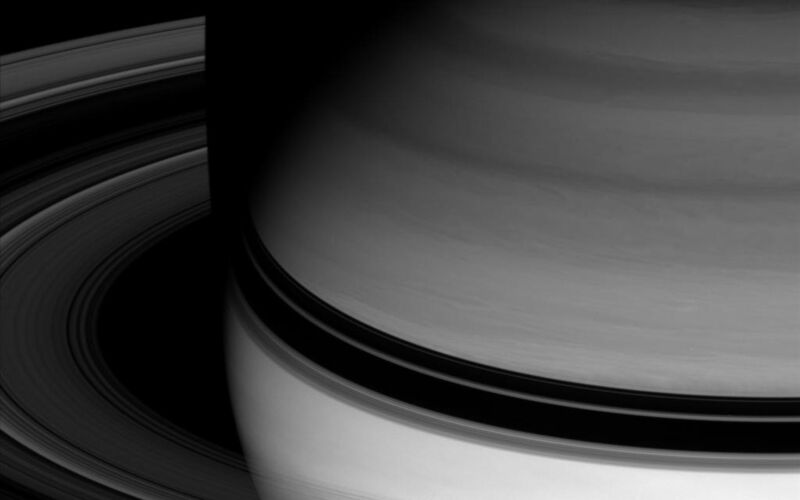 The image was taken with the Cassini spacecraft wide-angle camera on April 15, 2008 using a spectral filter sensitive to wavelengths of infrared light centered at 728 nanometers. 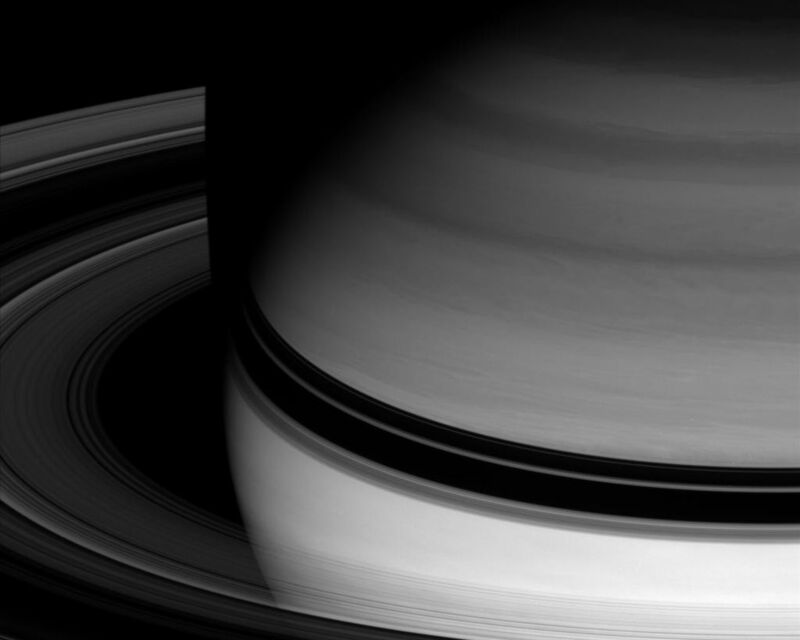 The view was obtained at a distance of approximately 1.5 million kilometers (907,000 miles) from Saturn. Image scale is 84 kilometers (52 miles) per pixel.